What Are the White Bumps in the Back of Your Throat? Do you have white bumps in the back of your throat? Do they smell bad when you squish them? Are they occasionally uncomfortable? Are you fairly certain that you don’t have strep throat? 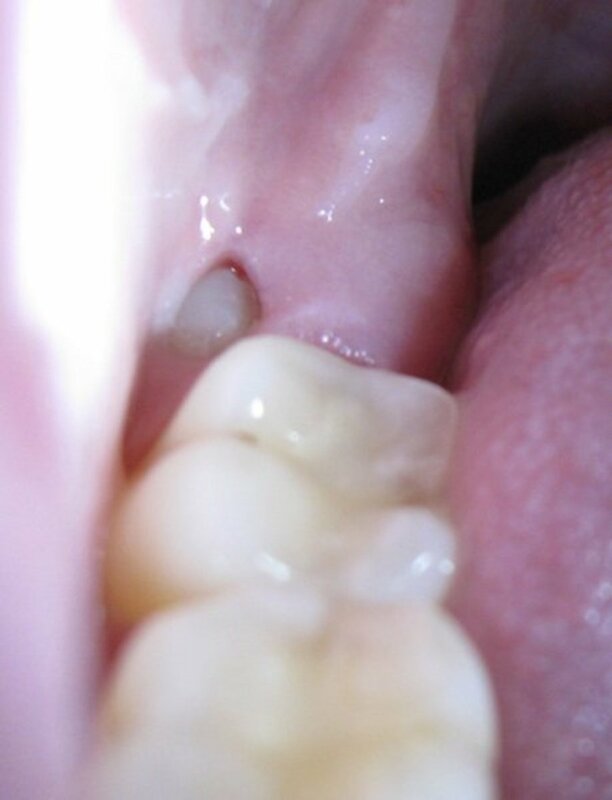 The names for these bumps are “tonsil stones” or tonsilloliths and they cause bad breath and some other uncomfortable conditions. The bumps can also be yellow or gray in color and of varying sizes. Some people have very small ones that are barely noticeable, while others find them to be uncomfortable or painful, causing sore throats or earaches. This article goes over the causes, symptoms, and treatment for these bumps, and has some pictures as well so you can see if you have tonsil stones. Where Do the White Bumps (or Tonsil Stones) Come From? Tonsilloliths are made up of mucus, dead cells, bits of food, and other debris that collect in the pockets of the tonsils and over time condense into irregularly shaped, light-colored masses that usually have the distinctive smell of bad breath. 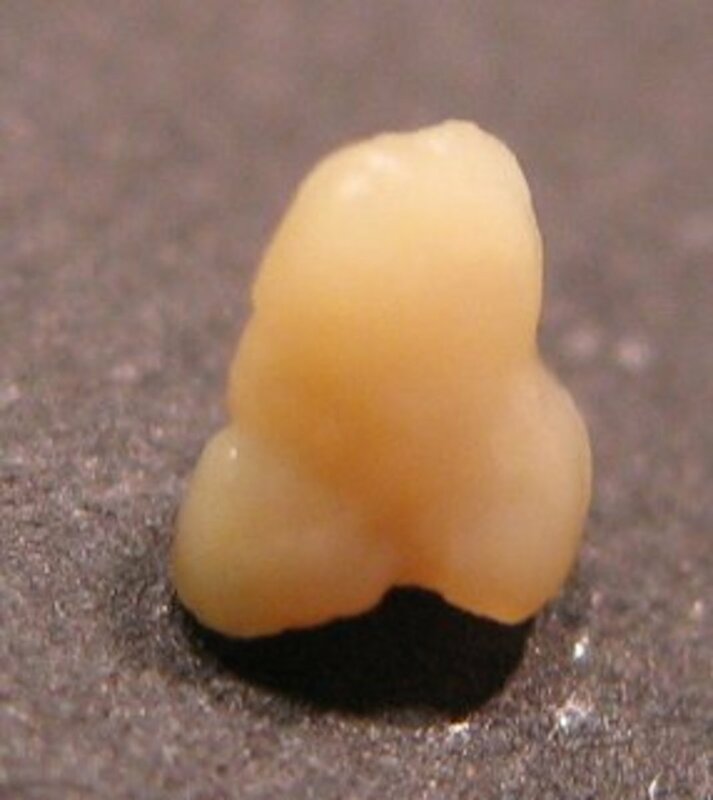 Most people have small tonsil stones and it’s rare to find a large and calcified stone (though not impossible). Usually they're no bigger than a pencil eraser, though doctors have reported finding ones over an inch long. That, however, is very unusual. 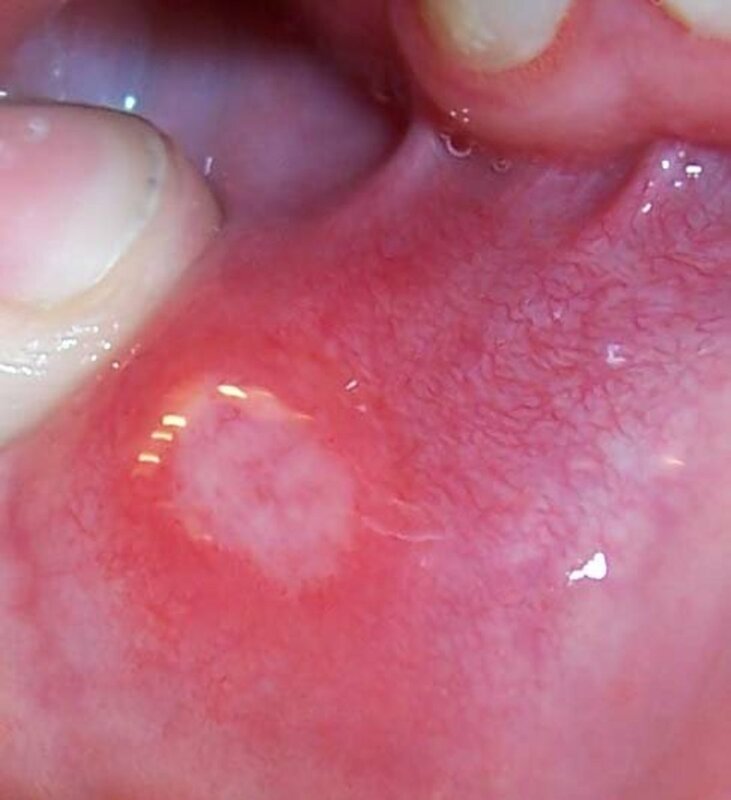 The shape of these white bumps varies because they take on the shape of the tonsil crypts where they are formed, growing as more and more material is added. The color also depends upon what the bumps are made of. Mostly the stones take on a white color, but there are instances of green and yellow stones as well. Tonsil stones are most common in people who have chronic inflammation in their tonsils with repeated bouts of tonsillitis or other recurring throat conditions like strep throat. Tonsilloliths are actually fairly common, with one French study indicating they're present in about 6% of the population. Despite this, they are little understood by ear, nose, and throat doctors. Possibly because they are not considered a pathological condition, there is very little research about them. While we're talking about tonsil stones, it might make sense to know more about tonsils. Tonsils are lymphatic glands in the back of the throat which are thought to guard against respiratory infections, though in reality they do their job very poorly and often cause more problems than they prevent. In fact, some scientists and doctors think they’re an evolutionary phenomenon that is less effective in modern times, since humans live so much closer together now and face many more chances of infection. When working effectively, tonsils are meant to trap the bacteria coming through your mouth and keep it from reaching the body. In reality, however, this puts the tonsils at risk for infection themselves. 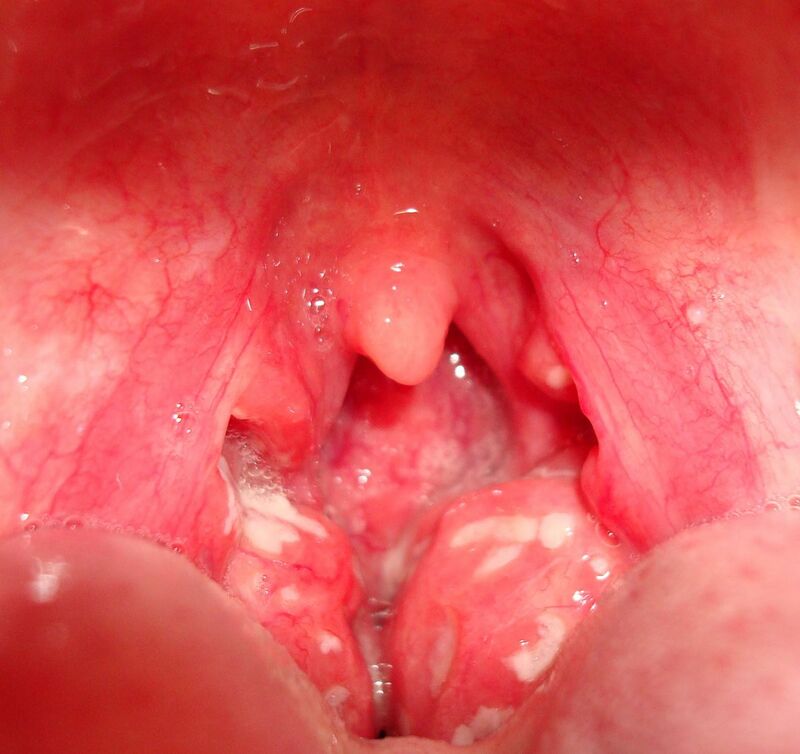 Tonsils are also much more active before puberty, which is why so many kids get tonsillitis. What Are the Symptoms of Tonsilloliths or Tonsil Stones? Small tonsil stones often have no symptoms, except for the fact you can occasionally see them at the back of your throat. They might also dislodge themselves into your mouth. 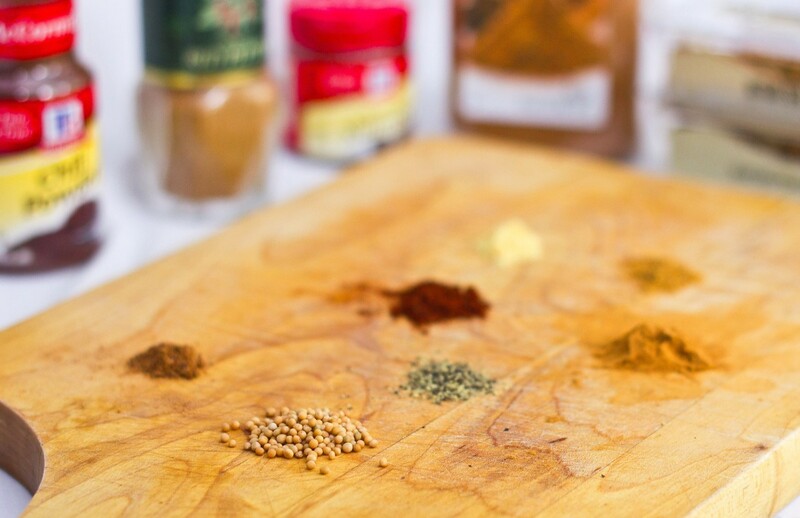 One of the primary indicators of tonsil stones is continual bad breath, or halitosis, that is unrelated to food or other oral factors (like gingivitis, dry mouth, or tooth decay). The odor of the tonsillolith is caused by bacteria feeding on the decomposing matter that has accumulated in the pockets of your tonsils. One study showed that people with bad breath are more likely to carry tonsil stones than people with normal-smelling breath. Approximately 75% of those who suffer from tonsil stones also has bad breath. Most halitosis, however, is caused by periodontal diseases and tongue coat, so stone-sufferers will not necessarily continue to have bad breath after resolving their tonsil stone issue. Only very large tonsil stones will cause you to have a sore throat, which could also indicate either tonsillitis or a throat infection. As previously mentioned, sometimes tonsil stones are visible in the back of the throat and may dislodge themselves into the mouth. Oftentimes, this is not the case since the stones are well-hidden in the tonsil cavities and can only be detected coincidentally through CT scans or MRI’s. 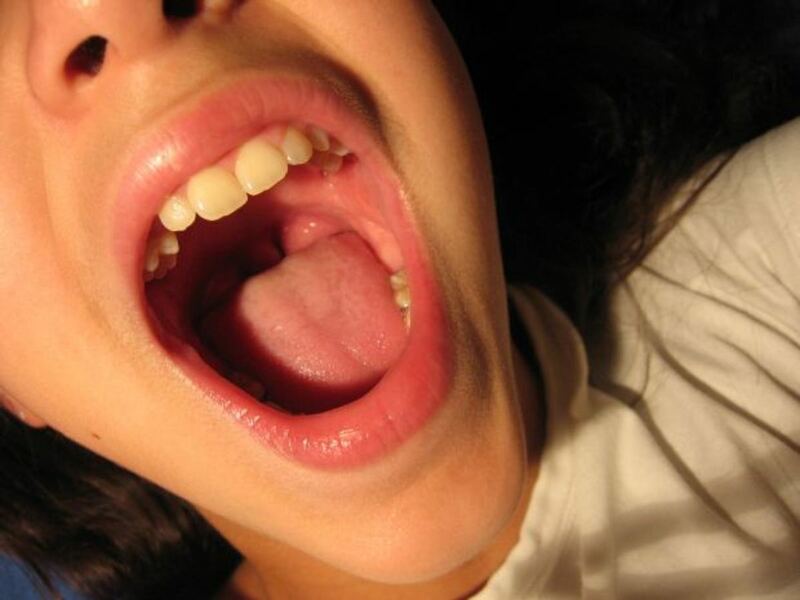 Depending on the size or location of the tonsil stone, it might be difficult to swallow food or liquid. This could only occur, however, when the tonsil stones are very large. Tonsils can develop anywhere in the tonsil, and because of shared nerve pathways, they may cause a person to feel pain in the ear even if the tonsil stone itself is not touching the ear. The debris itself can cause the tonsil to swell. 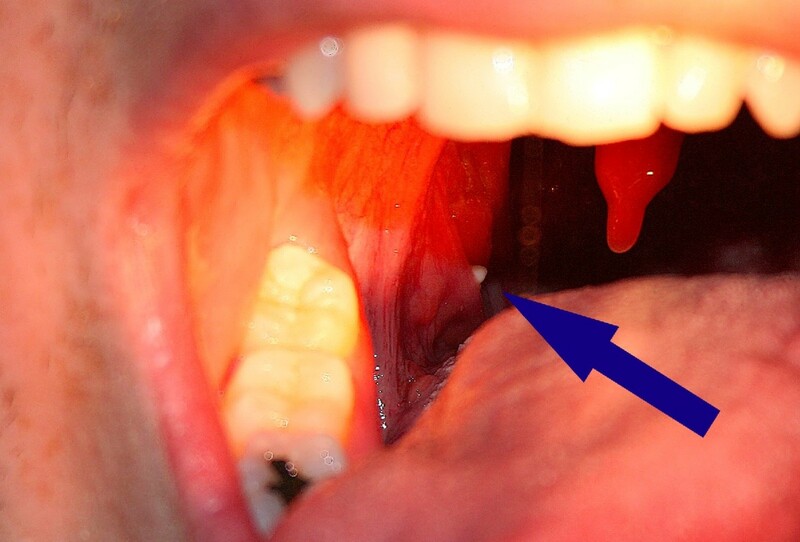 However, infection could be another cause of tonsil inflammation. See below for more information on tonsillitis. How Can You Treat and Get Rid of Tonsil Stones? How you treat your tonsil stone depends on its size and how much discomfort is it causing you. If the stones are small and symptoms practically non-existent, then it’s quite possible that you don’t need any kind of treatment. If you're experiencing symptoms, you may want to look into some of the following options for removal. Again, especially for asymptomatic tonsil stones, treatment might not be necessary and could damage the tonsils even more. If you see a tonsil stone, but your throat doesn’t hurt and your breath doesn’t stink, leave it alone and it’s quite possible it will disappear without any further action from you. Many people choose to treat at home with picks or swabs. Be careful not to injure the back of your throat though, if you decide to go this route. You can read this article from the New York Times about a woman who dealt with her tonsil stones by squeezing them out with a Q-tip. 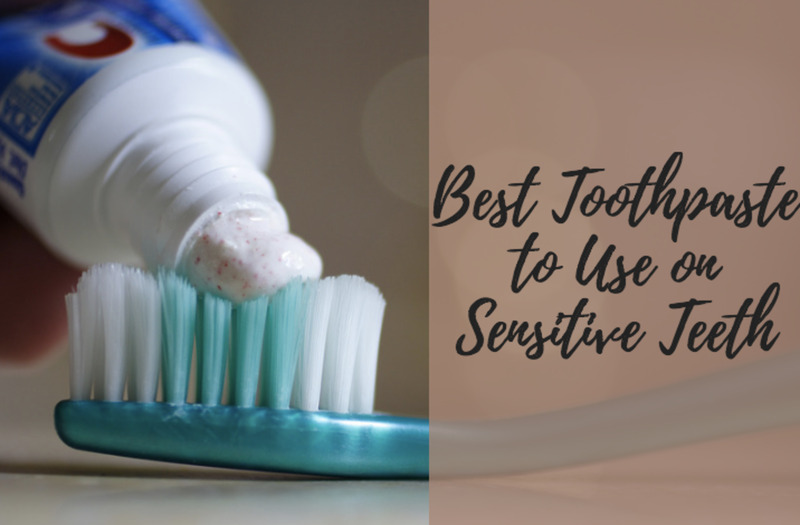 There are also oral irrigators that exist for home use, though one should be careful when jamming anything into the back of their throat as that could cause injury and increase your discomfort. Gargling with warm, salty water may help ease the discomfort of tonsillitis, which can accompany tonsil stones, and carbonated beverages can help loosen the stone and may completely dislodge it by surrounding it with gas bubbles. 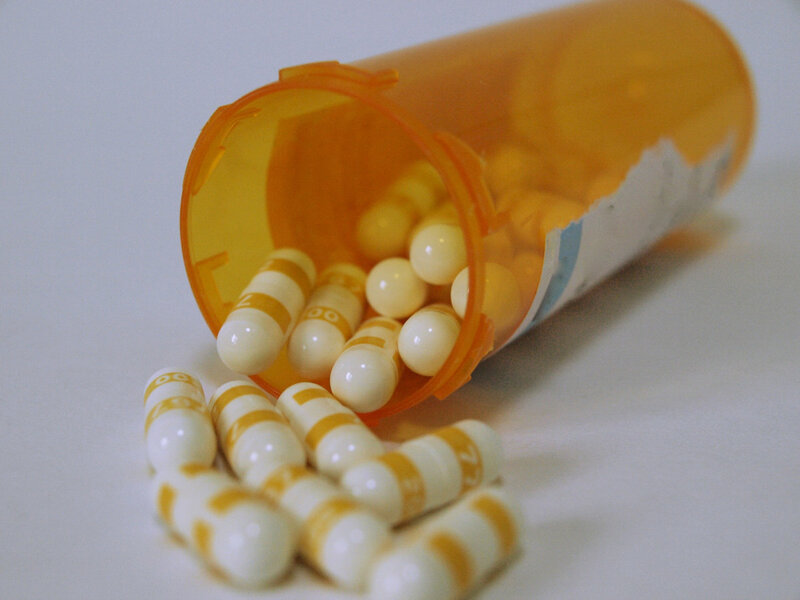 Some antibiotics can help treat tonsil stones. However, they can’t correct the underlying problem of the tonsil stones and also come with side affects. This doesn’t come recommended, since surgery might be a better option if the condition is severe enough to warrant antibiotics in the first place. In rare cases, especially large and symptomatic tonsil stones will need to be removed surgically. Depending on the situation, the patient may or may not need general anaesthesia. Most people with tonsil stones, however, will never need to seek professional help. This is a video of someone removing tonsil stones at home. I've provided it just as an example of what it looks like to remove them on your own. This is not meant to be an example of what should be done in every situation. Can Tonsilloliths or Tonsil Stones be Prevented? Since tonsil stones are most common in people who have chronic tonsillitis, the only sure-fire way to prevent tonsil stones is to completely remove the tonsils. The procedure, performed under general anaesthesia, is known as a tonsillectomy, and completely removes the tonsil tissue. This is considered a last resort, however, and patients can expect to experience sore throat and discomfort for at least a few weeks after the procedure. Otherwise, tonsil stones are a risk of having tonsils, and some people are more prone to them than others. There are multiple differences between tonsillitis and tonsil stones. 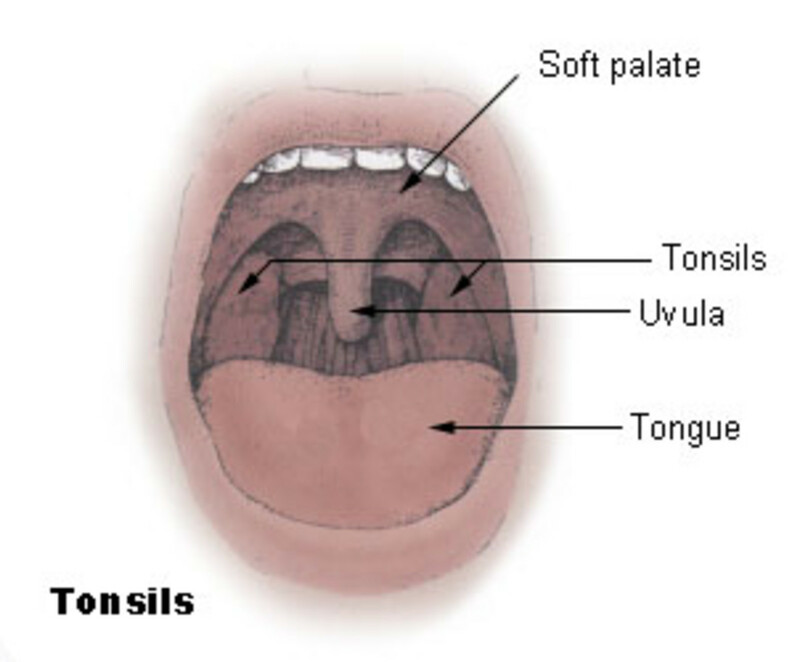 While tonsillitis is an infection of the tonsils, tonsil stones neither result from or indicate an infection. And where tonsillitis is most common in pre-puberty children whose tonsils are still serving an immune function, tonsil stones are generally prevalent in teenagers and young adults. Remember that when a person shows sign of tonsillitis, the white material on the tonsils is generally more fluid and lies on top of the tonsils instead of being lodged within them. I hope this information was helpful for you to learn more about what's going on in your body. Remember if you have any serious health concerns, it's always a good practice to get the advice and input of a medical professional. I had my tonsils out when I was 19 (65) but I have a small white bump which sounds just like tonsil stone. I squished it and now waiting to see what happens Is it possible to get one with no tonisls? The first time i saw them my mom said i had herpes. This is interesting. Thank you. 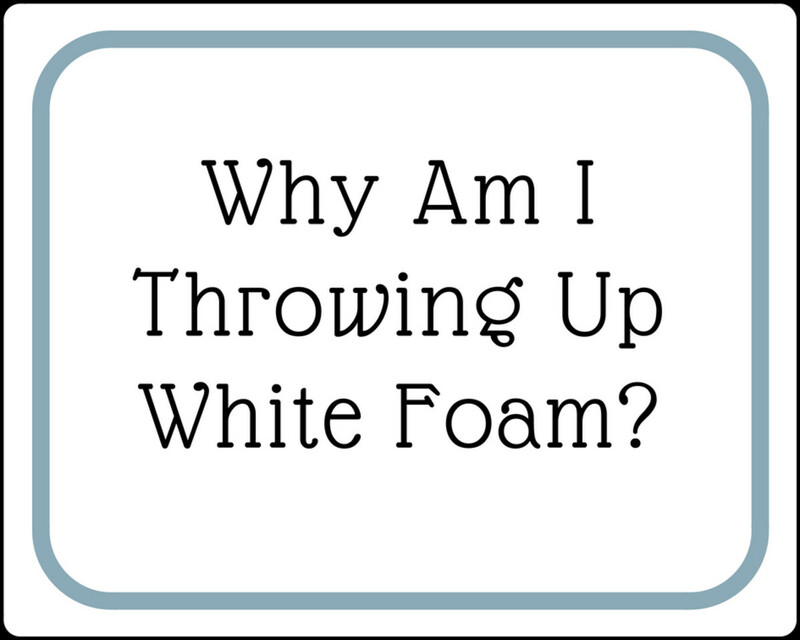 I don't have the white chunks, but cottage cheese clusters on the side on my throat. It's on both sides, between my wisdom teeth/jaw and the front of my tonsils. When I move my tongue you can see it's more down the sides. I do have a light film of thrush on the top of my mouth and my tongue. I've had a persistent sore throat since the 1st of Jan. Been to the doctor x2, each time it was negative for strep throat. I was put on a antibiotic first for a sinus infection and then a antifungal. My tongue and and pallet are a little better, but the sides of my throat are still white and look foamy. I have a bad taste in my mouth. Ive gargled with salt water, apple cider vinegar, hydrogen peroxide. I don't know what it is. Thanks a lot,i have solved my problem with the help of your video.feeling happy. I signed up to say thank you. I had a gigantic stone, about 2 centimeters. I has throat irritation for a few days like something was stuck in my throat, i drank hot tea and sodas to clear my throat and I finally lost the feeling. A couple of days later, I saw a gigantic white lump on the top of my throat and freaked out thinking it something bad like cancer. Googled it and landed on this page, tried to scrap it with my toothbrush which broke a small piece out and it fell into my throat and I gulped it in (accidently, yuck). The rest of it i squeezed lightly while leaning into the sink. A 1.5 CM lump fell out, I didn't have bad breath but that thing smelled horrible. Like the person above said, I might link this to my dairy intake ... specifically cheese. Found this awesome place which makes this great paneer (cottage cheese) indian curry. I have been eating this regularly (10 -15 times a month) for the past 3 or 4 months. I do not usually consume a lot of dairy in my diet - no milk, yogurt ..etc. I am also 32 yrs old and never had this before in my life, at least in my knowledge. Hope this help some more people. Hey i have these bumps and i swuished one but i see another one shoved up in my tonsill socket. Should i go to a doctor!? I signed up just to say this I've SOLVED THIS FOR ME. Now my throat lumps didn't look like every picture but they look like most. Squished they smelt horrendous, like raw sewage. Anyway, I realized that the white lumps coincided with having dairy milk, feta cheese, yogurt etc. Eat Feta Cheese, get throat lumps a few days later. I dropped dairy from my diet months ago except Colby and Tasty cheese. Colby and Tasty never gave me throat lumps. I've not had a throat lump since! The first time I saw a white bump, I thought I cut my tonsil and the insides were coming out. But it was tonsil stones. I tried to pick it out but the more I pick out the worse it got. I am 11 and I actually thought it was cancer! I was embarrassed to tell my mom or dad what I had. So then I finally told them today. I am going to get it removed by the doctor tomorrow.